Posted on March 27, 2019 at 10:35 am. 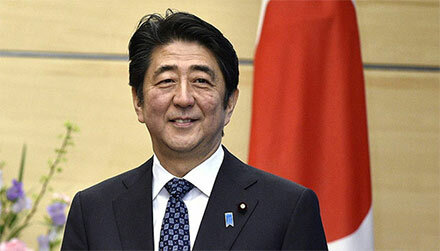 The Japanese government has approved a set of official regulations for integrated casino resorts. Although casino gambling was legalised by 2018, the regulatory framework for the new industry was only confirmed this week. The legislation focuses heavily on the configuration of integrated resorts and includes strict rules about the amount of space devoted to gambling floors, hotel rooms, corporate facilities and retail outlets. Prime Minister Shinzo Abe said the move signified Japan’s intention “to become an advanced country for tourism”. The country’s pro-gambling set had hoped to have the first casino resorts up and running by the Tokyo 2020 Olympics, but 2025 now looks a more likely timeline. The race is on for developers, investors and operators to lock down one of the three casino licences that will be handed out in the next year or so. MGM Resorts recently confirmed that it was turning all its attention to a proposed development in Osaka, while Hard Rock, Mohegan Sun and several other firms have expressed interest in a Hokkaido resort. The operators of South Korea's Paradise City are weighing up a potential bid for one of three casino licences on offer in Japan. Tomakomai is among the frontrunners for an integrated resort as bidding from international casino operators intensifies. The Japanese government has introduced legislation that would restrict casino and gambling advertising to certain areas of airports and seaports.